The E45W features a fully reversible touchscreen display and plenty of horsepower for everyday tasks at a bargain price. 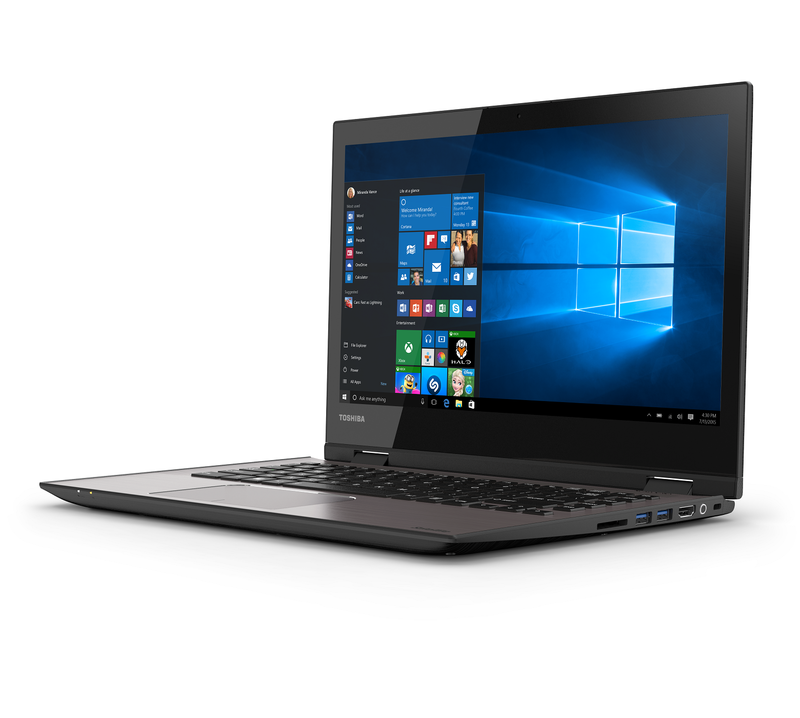 For $500 MSRP (and as low as $350 on sale), the E45W-C4200X is a lot of laptop. Not many similarly priced products offer a fully reversible 14-inch touchscreen display—as a matter of fact, I can't think of one. 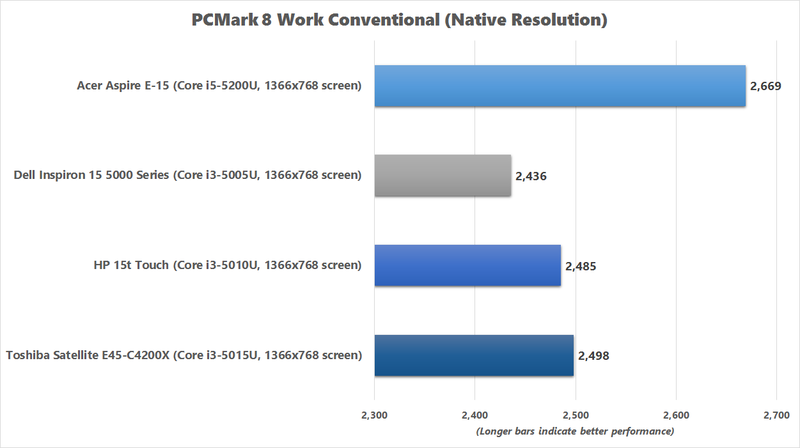 It’s true the E45W-C4200X’s display is “only” 1366x768, but to a lot of people that won’t matter. Yes, 1080p video won’t look as sharp, but given the price and features, it’s pretty easy to overlook that. The E45W-C4200X in "tent" mode. Our test E45W-C4200X featured a Core i3-5015U CPU, 6GB of DDR3/1600 memory, and a 500GB 5400rpm HGST hard disk drive. That storage disk isn’t fast, testing at a tortoise-like 60MBps, but its performance is well within the expected range for a platter-based drive running at that speed. You also get 802.11ac Wi-Fi and Bluetooth 4.0, along with two USB 3.0 type A ports, full-size HDMI output, and an SD card slot. There’s no ethernet jack, however. You’ll need to carry a USB-to-ethernet adapter for a hardwire connection. The E45W scores of 2,498 in PCMark 8’s Work Conventional and 2,007 in Creative Conventional were a tad misleading. On paper, those scores indicate moderately paced performance in office and some content creation tasks, but in practice, I experienced noticeable wait times when opening programs and booting the machine. That’s largely because of the aforementioned slothful hard drive. 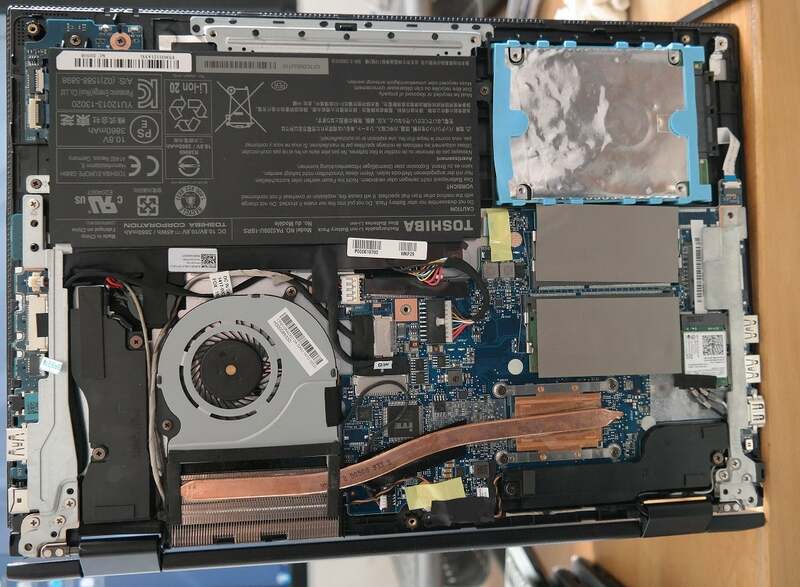 Upgrading the E45W with an SSD should provide substantial improvement in performance, but it’ll take a little more elbow grease than with other laptops. You’ll have to remove 10 screws on the back, then apply a spudger along the seam. (You’ll start at the right rear edge of the seam between the keyboard deck and the back cover.) The work is worth it, though: The battery, hard drive, and memory are in plain view once you get the back cover off. Just remember that performing such an upgrade typically voids your warranty. Getting access to the laptop's components takes a bit of work, but it's not difficult. 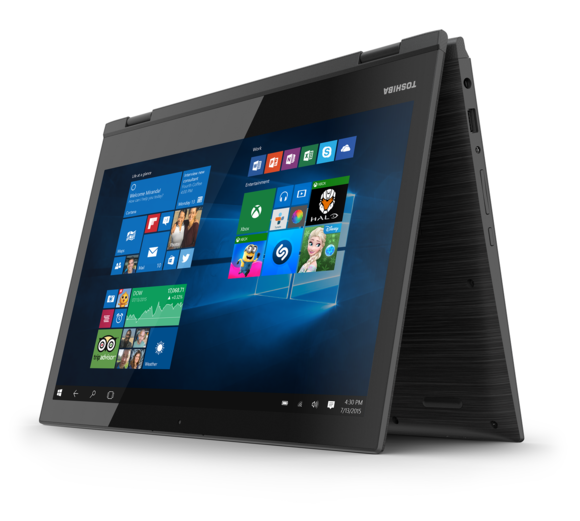 During our rundown test of the E45W’s battery, in which we play a 4K Ultra HD movie file using Windows 10’s native video player, this 2-in-1 machine lasted for 6 hours and 20 minutes. You can't compare that directly with most of our other laptop reviews, however, as the E45W's display hits a maximum brightness of only 205 nits. We typically test at 250 nits unless explicitly stated otherwise. 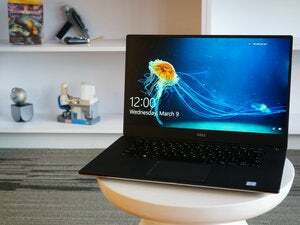 Note that with a screen that tops out at 205 nits, the E45W may have more of an issue with bright sunlight than other laptops that can fight back with some brightness of their own. In our test locations, which use typical fluorescent lighting, the screen was easy to view. Toshiba does load a fair amount of “value-added” software on the E45W, like Wild Tangent Games, SocialSafe, Insteon, and more. There are also the usual Toshiba utilities and McAfee antivirus software. In my opinion, system performance perked up quite a bit after I removed the majority of it. The E45W-C4200X in tablet mode. At 5 pounds, it's only usable as such on your lap. 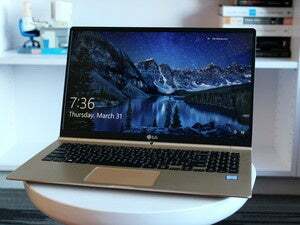 Performance is all well and good, but that’s not the entirety of a laptop’s experience. For the most part, the E45W’s non-hardware attributes can be best summed up as “very acceptable,” particularly given that $500 price tag. The E45W’s dimensions are 13.3 x 9.3 x 0.85 inches, and it weighs in at a rather hefty 5 pounds, but it’d be unrealistic to expect a thin-and-light machine for this cheap. That said, I never had the feeling I was dragging around one of the anchors we had to endure a couple of decades ago. The E45W-C4200X viewed from one of its better angles. I have stronger opinions about the keyboard and trackpad: I found typing on the E45W’s Chiclet-style keyboard pleasant enough, though the rebound was slower than ideal. 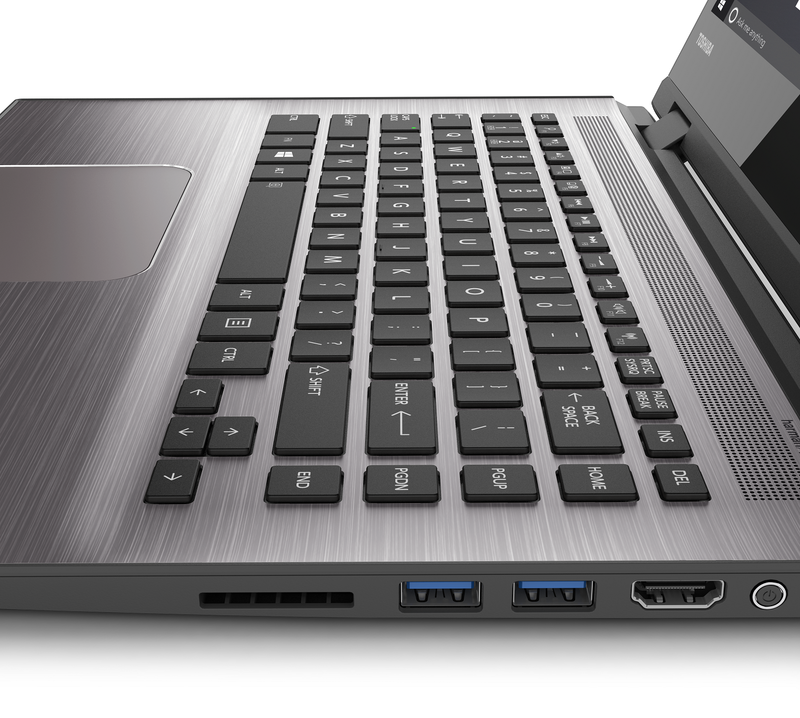 The layout was spacious, and Toshiba has nicely offset the editing and navigation keys in their own column. I don’t mind a non-standard configuration when it’s easy to learn and doesn’t affect the main typing layout. 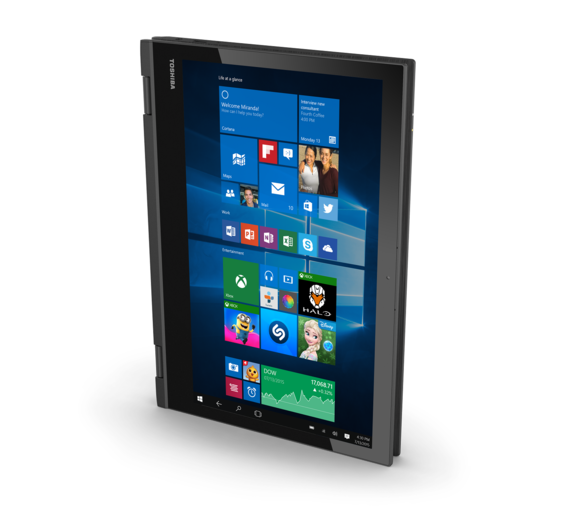 The touchpad is a one-piece, piano-hinge type with integrated buttons. As expected, it’s harder to press closer to the top, but overall, the tactile feedback it gives when clicked on is pleasantly solid. It seemed under-sensitive to tapping, though. Normally I have the opposite complaint and disable tapping for being too sensitive for my ham-handed ways. On the other hand, touch sensitivity on the ten-point display digitizer was nigh on perfect. The E45W-C4200X's keyboard and touchpad are better than you'd expect in this price range, though the latter can be a bit sensitive. 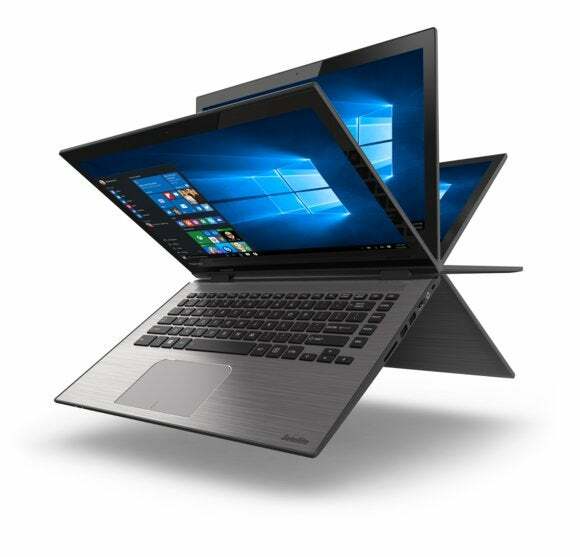 As a 2-in-1 style laptop, the E45W’s fully reversible display allows you to use it like a tablet, if you so choose, as well as in a few other configurations such as a tent-like mode. Off-axis viewing is good enough for these different positions to work, even if not what you’d experience with an IPS panel. A Toshiba laptop served as my travel workhorse for several years back in the day. I liked it, but haven’t since used another of the company’s machines. That wasn’t for any particular reason—it was just the way things worked out. However, if the E45W-C4200X is any indication of what the company is up to these days, I may have been missing out. Despite the low price, the E45W's build quality holds its own against laptops and 2-in-1 machines costing several hundred dollars more. Its hard drive is slow, but overall performance is fine once Windows is fully loaded.